being little • bristol uk fashion & lifestyle blog. : which watch? I've got a small collection of watches now - you might be able to tell that three of them no longer get much use, as they've stopped! The bear-print Swatch was a gift from a sweet boy, the pink Casio-style digital watch is a well loved Oasis number, and I don't recall where the cat-faced watch is from.. but the other three I'm starting to wear more and more often. My first favourite is this Shore Projects watch* that you might recognise. 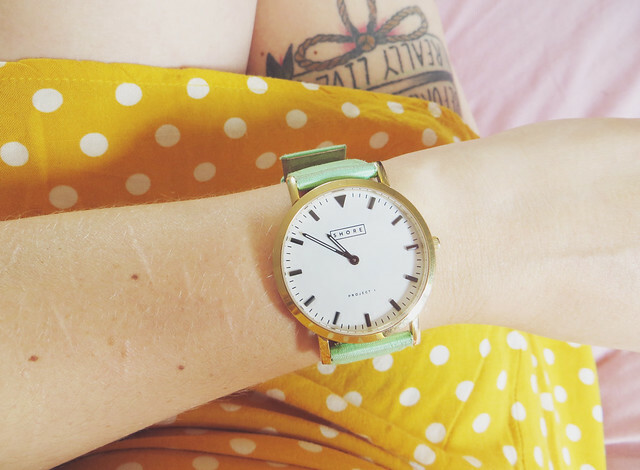 The aqua colour is perfect for when I'm wearing a colourful, summery outfit - you can actually buy different straps too, to co-ordinate with your outfit, if that's your thing! 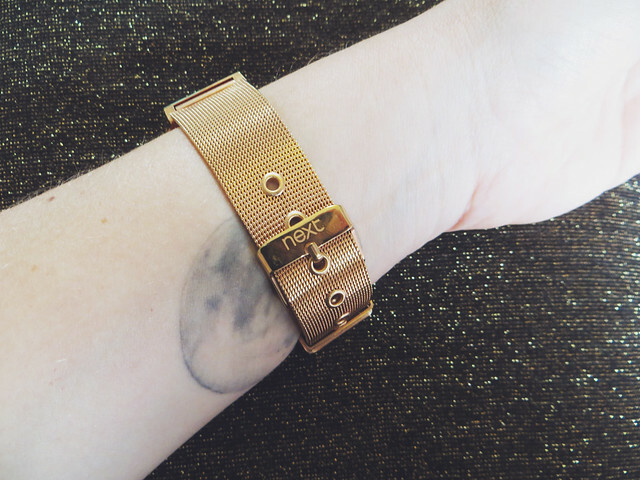 Shore is an independent British company; it's nice to know where your accessories come from. 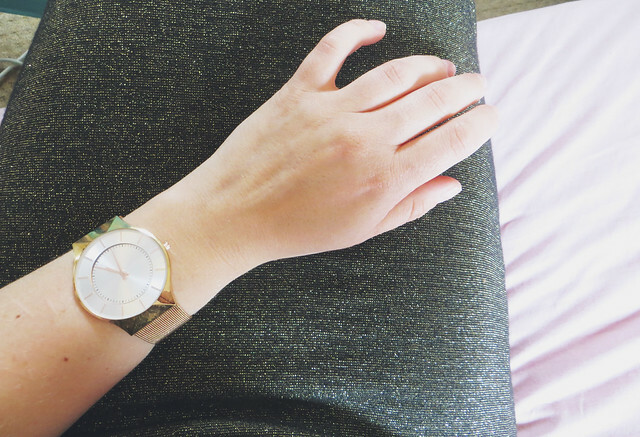 Second up is this rose gold watch from Next* - it's more of a classic watch, and I wear it when I'm feeling more dressy or when I want to look like a grown up! Like many bloggers, rose-gold or copper things make my heart feel funny. I want them all! Lastly, my new Casio watch that I was kindly given for my birthday! 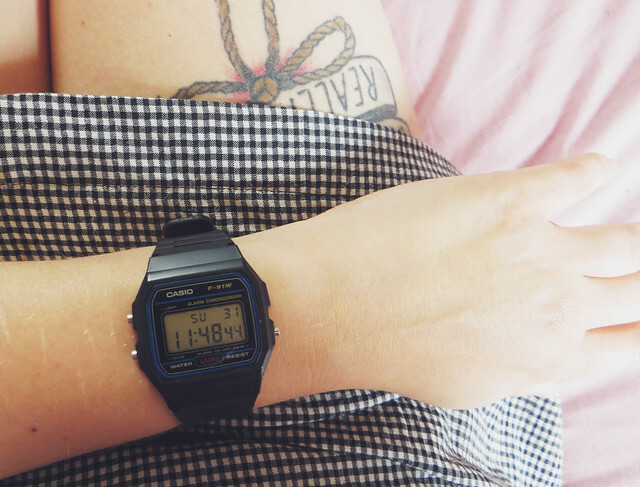 This is my most casual of watches, something I chuck on when I'm feeling a bit grungey and tomboy-ish. Tesco stocks some really nice Casio watches, including a rather nice and shiny gold one which may be on my wishlist.. because, evidently, I can never have enough watches! Do you have a collection of watches, or one that you wear for every occasion? Thanks to Tesco for helping to bring you this blog post. 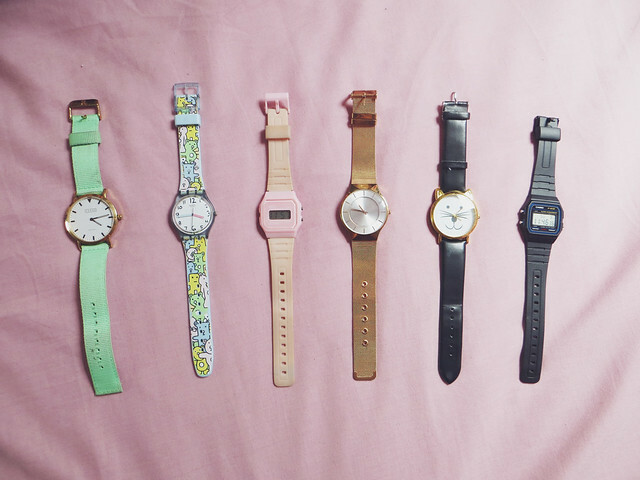 These watches are all so cute - my favourite is the one with the cat face. all of these are so cute!!! I only have a silver watch.... well, and two christmas watches, can't exactly wear those year round, y'know? but I don't actually even wear my non-holiday one that often, I really should get back into it. 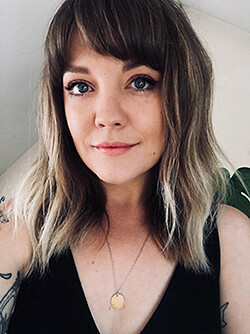 can't wait to hear about these earrings you speak of! ;) also, is that a moon tattoo on your wrist?!?! because, if so, I LOVE it. I really love watches, but only own one, and I don't really wear it that often! The cat one is SO CUTE.